Concentrated, low foam washing up liquid, excellent for any kind of pot or pan. Perfume free and biodegradable, this liquid contains vegetable glycerine to help keep sensitive skin in supple condition, and is suitable for people with strong allergies. The containers is a recyclable and refillable HDPE bottle which is beneficial in environmental terms, and by buying a larger bottle you are creating less packaging waste. It’s better for your pocket too! Free from toxic chemical ingredients including phosphates, optical brighteners and chlorine bleaches. 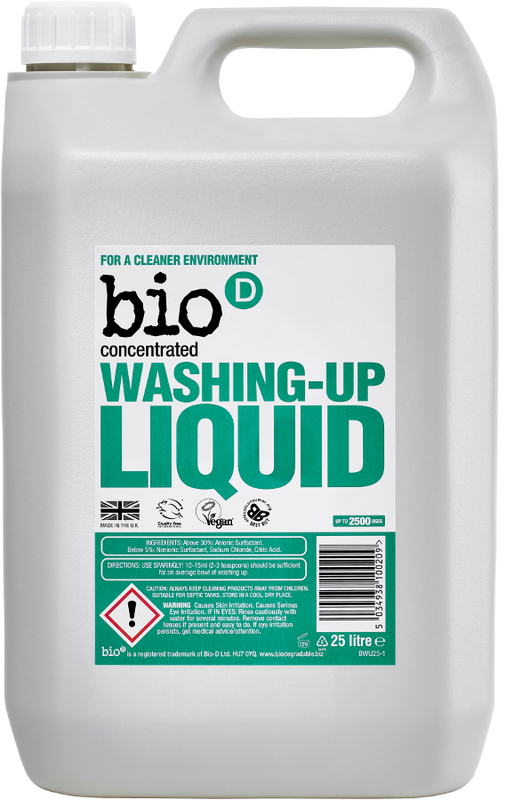 The Bio D Concentrated Washing Up Liquid - 5L product ethics are indicated below. To learn more about these product ethics and to see related products, follow the links below. 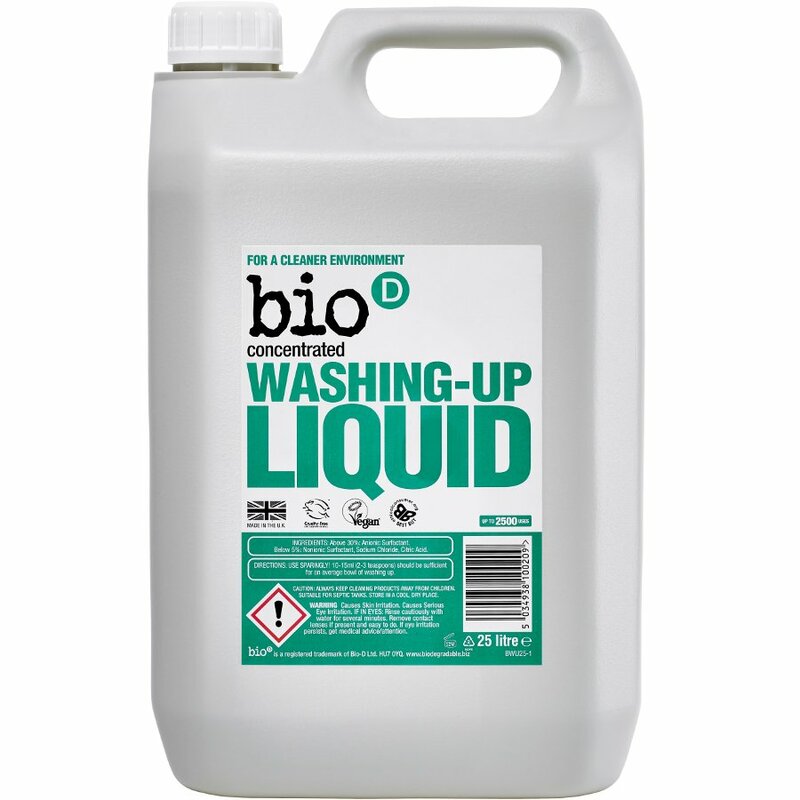 Best value washing up liquid that is eco and effective! 9 out of 9 found this question and answer helpful.